It is important that we recognise and understand that we are all different and we should respect others’ differences, says Minister for Industry, Trade, Tourism, Lands and Mineral Resources Faiyaz Koya. Mr Koya made this remark during Ram Naumi celebrations at Narere, Nasinu, on Sunday night. 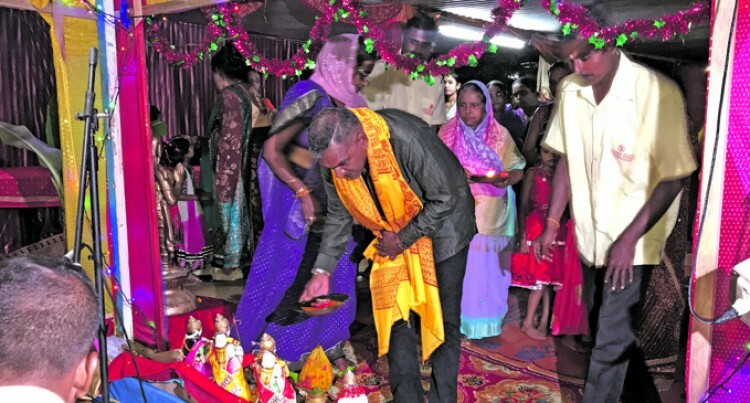 The Ram Naumi was organised by the Aum Shiv Shakti Ramayan Mandali and held at a residence in Narere, Nasinu. The celebrations started on Sunday and will end next Monday (March 26). Mr Koya said the 2013 Constitution protected everyone’s right to worship and enabled Fijians to freely participate and be part of any religion. He said Fijians needed to be tolerant and respect Fiji’s diversity of cultures, religions and economic backgrounds. “This diversity enriches our lives and makes us a model community locally and internationally,” Mr Koya said. “One of our strengths as a nation is our diversity. When we come together in unity we unleash a great power of good. “Our other strength is our belief that there is a God who loves each and every one of us, irrespective of our ethnicity, culture or religious background. “We are all children of God and nurturing this spiritual strength is crucial. “Ram Naumi and other religious festivals have helped us to maintain that perspective,” Mr Koya said. He said there were many messages that could be learnt from Lord Rama’s character and these were that, we should respectfully and lovingly obey our father’s orders. Mr Koya said there could be situations in life even when we should consider sacrificing our own comfort for our father’s dignity and parents’ wishes. As a brother, he said, men needed to remain loyal to their brothers, care for them, be ready to support them in every phase in life and be a pillar of strength for them. As a husband, Mr Koya said, men had certain obligations and responsibilities, such as the protection of their wives. “But there are times when one’s divine path must even take precedence over the path of householder,” he said. “As a King, Lord Rama sacrificed everything for the people of his kingdom. “Similarly, we cannot only be always concerned and worried about our own comfort, convenience and own pleasure. “We need to be thoughtful about the people in difficulty around us and at times need to make sacrifices to assist them,” Mr Koya said.